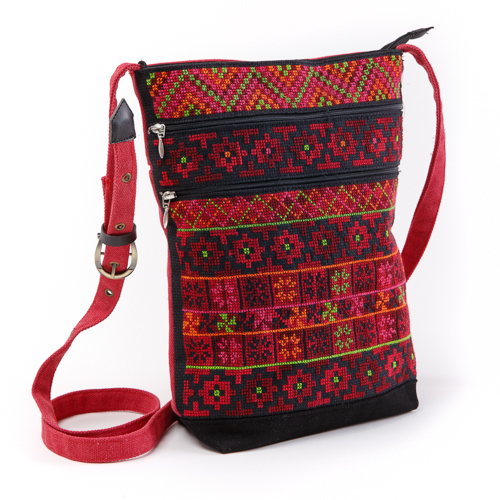 This beautifully embroidered bag is also very sturdily constructed. Three compartments, back pocket, zipper closures, adjustable strap. Denim with embroidered front.